Portfolio management and investment advisory is at the core of our offering. For this we base our services and processes on the quality requirements of institutional investors. Our asset management and investment advisory approach is conservative. We define the asset allocation in line with the objectives set by the client, our macro-economic view and our assessment of attractiveness of each asset class. We generally implement it with a core satellite approach, combining cost-efficient core investments with a periphery (satellite investments) of more specialist or shorter-term investments. While our focus is clearly on long-term strategic investments, we like to dedicate a small part of our asset allocation to shorter-term tactical investments aiming at generating additional performance by investing timely in out-of-favor asset classes. With this proven investment approach we aim to achieve higher risk-adjusted returns on a portfolio level based on the advantages of diversification of asset classes and investment strategies, lower cost and a reduced need for expensive portfolio readjustments. 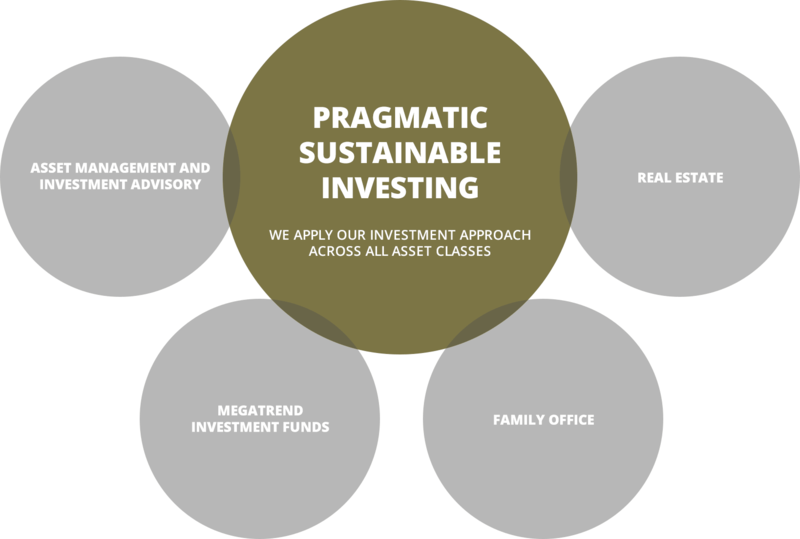 Based on our principles of Pragmatic Sustainable Investing we consider sustainability challenges and their related opportunities in asset allocation and investment selection. We are pragmatic in our approach, as we understand our first and foremost responsibility to maximise long-term risk-adjusted returns for our clients. We manage a number of equity funds and provide investment solutions focusing on megatrend investment themes, such as energy and resource efficiency. The consideration of ESG criteria (environmental, social, governance) is integrated in our investment process. Administrating and managing substantial wealth sustainably over time requires a lot of time and effort. More and more, sustainable and responsible investing criteria play an important role in the investment preferences of wealthy families. 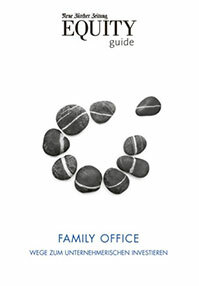 In addition to our investment advice, we support clients with a variety of customisable services. These include consolidated asset and liability overviews, wealth and cash flow planning or the continued monitoring of investment guidelines and transactions. We help clients in administrative matters, financial reporting/audit and provide comprehensive control of their wealth while assuming a coordinating function. We advise institutional and private clients on the purchase and sale of single properties and property portfolios as well as real estate developments. We provide portfolio analysis and strategic advisory. In our real estate investment activities we apply the principles of Pragmatic Sustainable Investing. We apply the highest energy and resource efficiency standards to the construction and renovation of buildings wherever possible and commercially viable.